Enterprise 2.0 removes the size and complexity of earlier systems. What is the most visible benefit of that system that you don’t need experts to make it work and to maintain them. Moreover, Enterprise 2.0 tools are not expensive to implement – unlike most corporate initiatives. By their nature, these tools don’t include complex deployment and maintenance. Actually, you may be able to install pieces increasingly. Firstly, you can install a small internal program before reveal it up to the outside participation. These tools are easy to use with a little or no training. Using the Web to deploy enterprise tools means, as long as they have Internet access, employees can reach their critical data – whether that’s documents, bookmarks, RSS feeds or whatever- wherever they are. 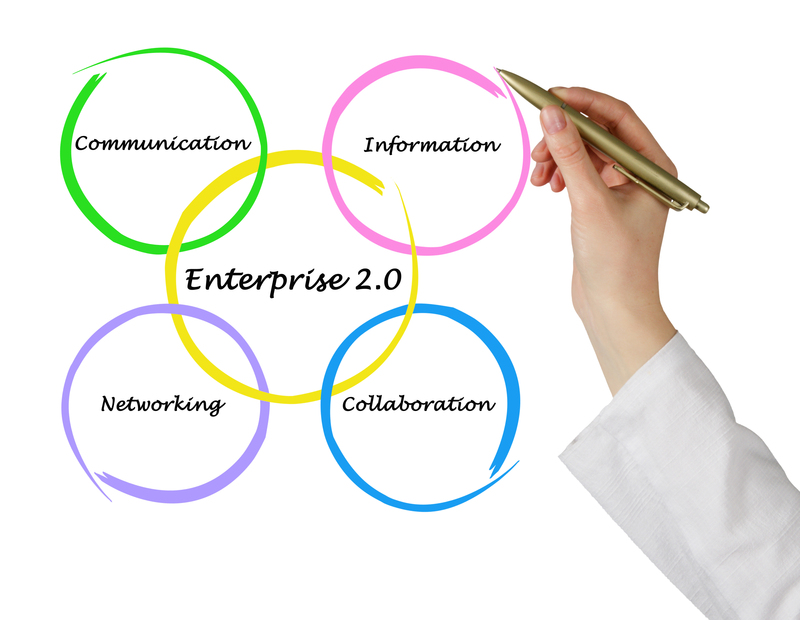 Furthermore, Enterprise 2.0 provides new ways of conversations with partners, suppliers or customers. Communication flows both ways, it enables to share your information and ideas. In one hand, with these technologies, you could ask customers for pictures or videos using your products in interesting ways. On the other hand, you could share information and data with partners who are working on a project with your company. It would have been much more expensive and difficult to start blog or wiki for a specific product category with the earlier Web tools – enabling a small niche of your market to communicate- than with Enterprise 2.0.